When asked what they would change about their home, many people express a desire for more space. Whether it is for storage, office space, or extra bedrooms, the addition of an extra room can make a big difference to a home's usability, as well as its resale value. Happily help is on hand from the loft conversion Balham specialists, Berry Construction. Although an addition to an existing home is an appealing alternative to buying a bigger house, planning permission and space restrictions can make things difficult. However, a loft conversion can make the most of a home's existing space, often with less difficulty than an extension. If you are considering a loft conversion, Balham is a prime spot in which to take advantage of this building opportunity. When living in the city, space is at a premium, and many people simply don't have the yard space to create an extension to their home. Fortunately, many homes have attic space that can be put to better use. With a carefully planned conversion, you can build up, rather than out, without changing the appearance of your home. Even if your home is a listed building, you may be able to receive planning permission to convert an attic space into more useful living space. If your home is not listed, you may not even need planning permission in order to make the conversion. With the help of a qualified conversion company, you should have no trouble determining what changes can be made. Loft conversions are an excellent way to make the most out of your home. As families grow and expand, a home that was ideal for a smaller family suddenly starts to feel cramped. With the addition of extra bedrooms or playrooms in the upper spaces, you home can grow with your family. These unused roof spaces provide a wealth of opportunity. Depending on the space available and your needs, you can create anything from an extra bedroom with en suite bathroom, or even independent living quarters. For many people, these spaces make excellent guest rooms, allowing other rooms in the house to serve more use on a daily basis, rather than taking up more convenient space with a room that is infrequently used. 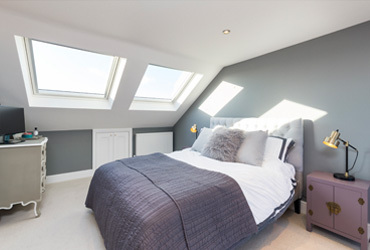 Although 2.4 meters at the highest point of the loft space is the recommended height available for a loft conversion, there are frequently other alternatives available for shorter spaces. 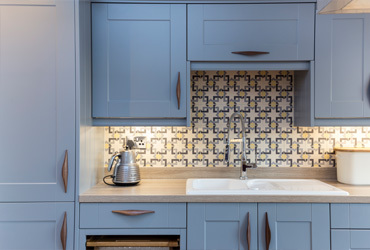 To ensure the most use from your space, it is important to choose a respected, trustworthy, and highly experienced builder to perform the conversion. The builder should work closely with you on the design and planning, so that you understand and agree to all of the work being done from preplanning to finish. 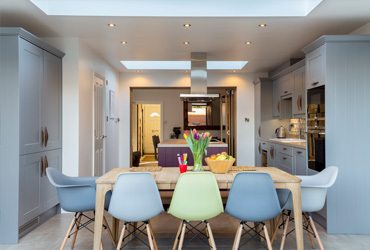 If you are considering having the roof space of your home converted and want the best loft conversion Balham has to offer, consider Berry Construction. We pride ourselves on providing specialised service that makes the addition a comfortable part of your home and not just an afterthought. We can help you make your ideal home into a dream home.